While I was in Amsterdam I visited the Rijks Museum. Although the building is currently undergoing major renovation, there is still an opportunity to see a selection of the museum’s masterpieces. 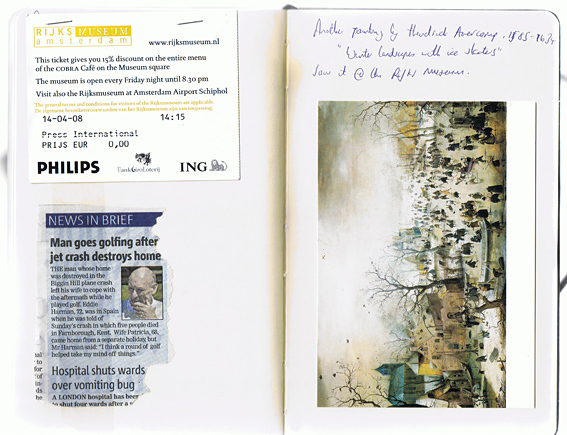 A small but wonderful display of Dutch paintings. 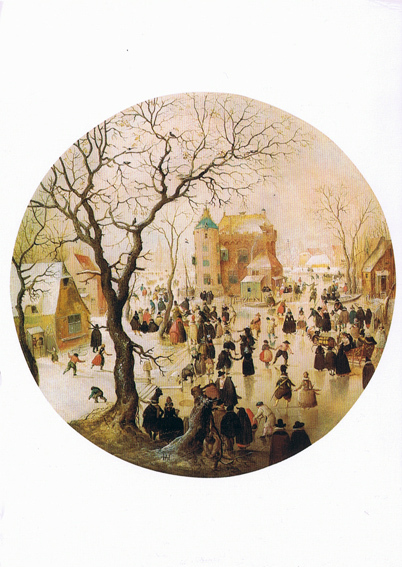 Given my current interest in leisure, I was particularly taken by Hendrick Avercamp’s ‘Winter landscape with iceskaters’. Avercamp (1585-1634) was one of the first landscape painters of the 17th-century Dutch school, and the most famous exponent of the winter landscape. He was deaf and dumb and known as de Stomme van Kampen (the mute of Kampen). 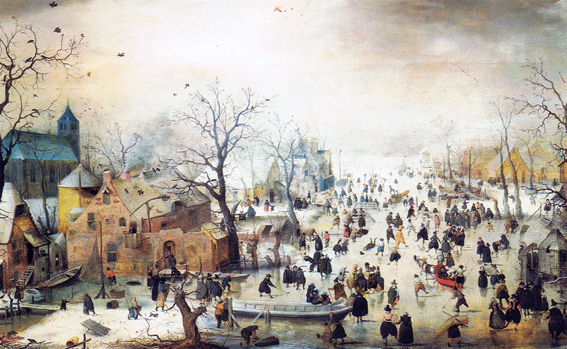 In this painting, one of the earliest large winter landscapes in the Rijksmuseum, crowds of people are depicted on the ice in a scene that stretches far into the distance. There is considerable variety among the figures, both in clothing and in what they are doing. Some of those portrayed are having fun, while others appear to be working. Avercamp has included several daring details, such as the couple making love, the bare buttocks and the man urinating. I’m going to look at paintings in more detail in a future post. In the meantime, if you have any suggestions of paintings that depict scenes of leisure and pastimes, particularly in the English landscape, please post them below. This entry was posted on Tuesday, April 29th, 2008 at 4:31 pm	and is filed under ART & LEISURE, INSPIRATION, TRIP LOGISTICS. You can follow any responses to this entry through the RSS 2.0 feed. Both comments and pings are currently closed.